Home Staging? Is it Really Worth it? – This Is Where Awesomeness Happens! Home Staging? Is it Really Worth it? I have been selling real estate in and around Hamilton since 1997. In any profession the focus should be on the client. So, even though I am proud that I have received many sales awards from Coldwell Banker, what I am most proud of is keeping my clients more than satisfied with my services. I believe that awards that recognise my sales achievements and even more importantly Coldwell Banker’s Ultimate Service® award are a reflection of my belief that the customer should always come first. As part of my efforts to continually improve my ability to serve you, I successfully completed a detailed course to achieve the designation of Accredited Staging Professional® (ASP®.) Working with me as your REALTOR® I can help you prepare and stage your property. Homes that are staged, or prepared for sale, by an Accredited Staging Professional look better than other homes on the market by being clean, clutter-free, and ready to show to prospective buyers. Staged homes traditionally sell faster and for more money in today’s real estate market. The ASP® designation is a benchmark of true excellence in customer service for home sellers. I am dedicated to the principles and practices of Staging® and the many benefits this service will bring to my clients. The combination of selling and staging skills will help me sell your home for the most money in the shortest period of time. When you select a real estate Broker to assist in a transaction as significant as purchasing or selling a home, or real estate investment – choose your representative with care. Why Should my Agent have studied “Staging”? When you are looking for “the right” real estate agent what skills or traits should you look for? Many trainers and coaches in the real estate industry suggest that agents should develop a unique “selling advantage.” The most successful sales people in Real Estate acquire a skill or philosophy that sets the salesperson apart from the competition. As a consumer of Real Estate services, clients you should decide if the “selling advantage” of an agent is one that will help you sell your property in the shortest amount of time, avoid any problems, and put the most amount of money in your pocket. The best definition I know of for determining the value of real estate is “What a willing buyer will pay to a willing buyer given sufficient time and exposure on the market, without any undue influence.” In other words, it is the marketplace that determines value, not the REALTOR®, not the homeowner, not even an appraiser sets the value of a house. It is ultimately what a buyer will pay after comparing your property with others in the marketplace that determines its price. That means that you and your REALTOR® need to make your house “feel” better than the competition to a prospective client. De-cluttering your home with the help of a REALTOR® who has training in assisting you in those tasks will almost always earn more money and shorten the time on the market. But even more important than removing clutter and arranging furniture to help make your home look more spacious is giving it a warm and inviting feeling that lets a prospective buyer feel that they can make your house their home. As an Accredited Staging Professional (ASP®) I discovered that knowing what the results my clients and I wanted – a property that sold for more money in a shorter time – were even more achievable by going a bit further than de-cluttering. Staging – removing, replacing, and rearranging furniture and lighting are all part of the process. Depersonalising while still keeping a warm homey feeling is vital. As well, a stager or an experienced REALTOR® will be able to advise you on how to brighten and lighten your house. Repainting is the least expensive renovation and often results in rewards that are many multiples of the cost and effort involved. By using light neutral warm tones in the beige and taupe families your property will seem more cheerful and “homey” to prospective buyers. A real estate professional should also be able to council you about how to increase curb appeal with inexpensive touches that will greatly improve first impressions. Other REALTORS® and I are often asked by our clients about whether or not to update kitchens and bathrooms before offering a property for sale. Don’t you just hate our answer? It depends. Most of the time, however, it is far more sensible and productive to invest money in staging rather than costly updating. Most of the time, the only substantial improvements that pay for themselves are those that a prudent buyer would do within a very short time. So, unsafe wiring, fireplaces, stair rails, and plumbing repairs should be taken care of before marketing your property. 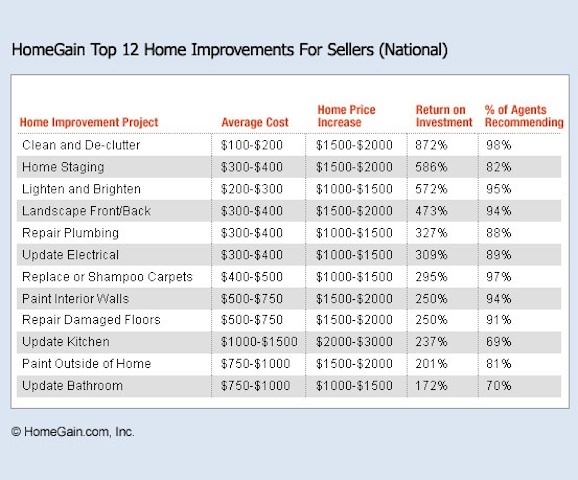 While bathroom and kitchen updates bring back the best returns on investment in major improvements they almost never bring back their cost. Many REALTORS® without the ASP designation may provide excellent advice, but, when you see the ASP designation after your agent’s name, you know you will be dealing with an agent who has taken the time to educate themselves in order to serve you better. 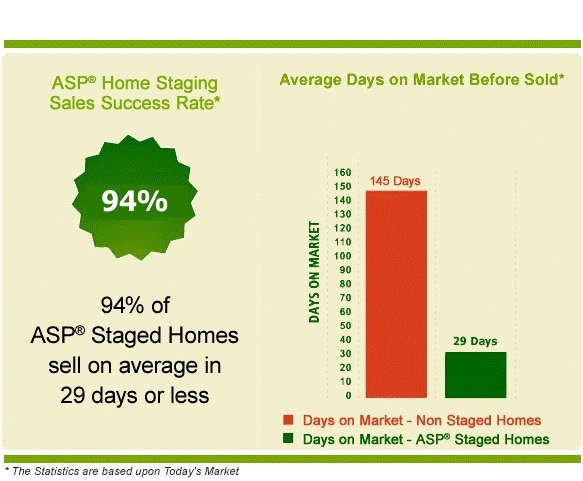 *The following data is from the Stagedhomes.com web site and was derived from US sources. We make no claims as to the accuracy of the following information. I am sure Judi would be glad to answer any questions you may have. 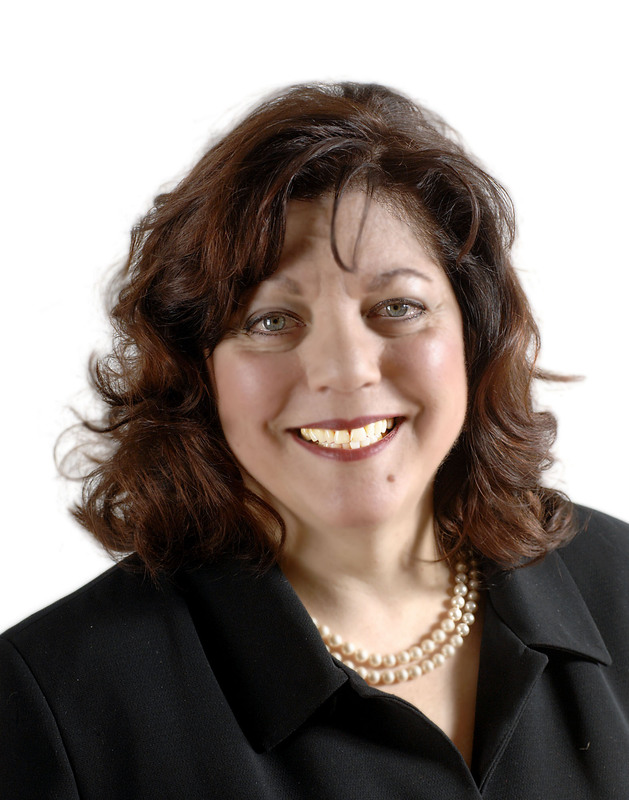 Either write a comment here, or contact her at her office, 905-522-1110.
from this website, and your views are good in favor of new users. Previous Previous post: Generation Blue! What an Experience!